But things can go wrong, even for unfearful pirates! The enemy may be predominant, and then it is of course smart to have some way out. 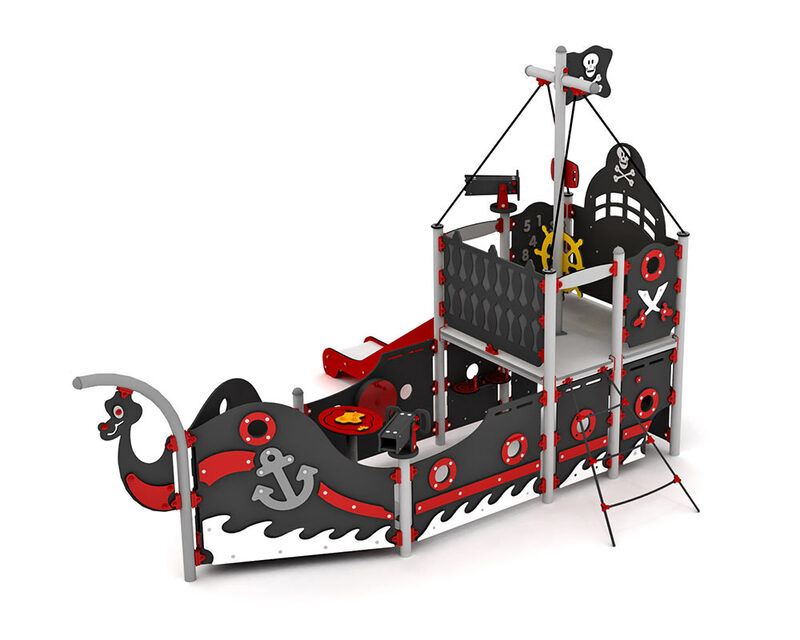 This pirate ship is just like item 300001 but comes with an open slide as an escape route for the crew.